Why replace when you can reface?? With a quality kitchen facelift you will save £1000s and a Dream Doors kitchen makeover will take just a few days to install. 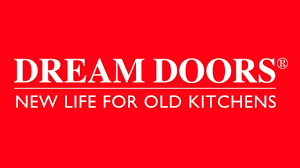 Even if you want to start from scratch with a totally new fully fitted kitchen, your local Dream Doors family run showroom can do as little or as much as you like and supply and fit everything from top-brand appliances to granite worktops, tiling and a wide range of accessories. Our kitchen designers have a wealth of experience and will help you achieve the kitchen of your dreams, with CAD designs and expert advice.